Blog WordPress Optimization and Tutorials How to Completely Stop WordPress Comment Spam? As you may have seen on Crunchify recently, we moved to Default WordPress Comment form, we have made number of different enhancements on it. One last thing it’s missing is how to fight with SPAM? How to stop spam comments? Akismet is one of the best WordPress plugin out there but it’s not enough as per my experience. Akismet catches almost all SPAM comments on site but it doesn’t help stop submitting SPAM comments to your WordPress DB. But because of Akismet, all SPAM comments will be automatically be placed into SPAM queue and you could easily empty with single click. On Crunchify, I don’t want it. I don’t want any spam bots to even submit comments on my site. Then how to Combat Comment Spam? 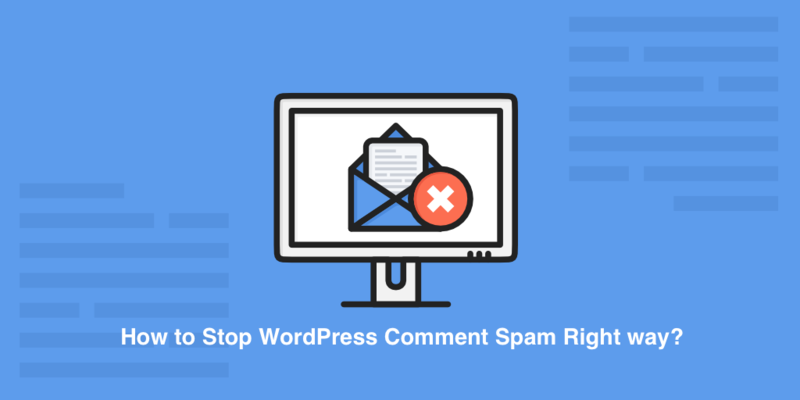 How to completely stop WordPress comment spam then? 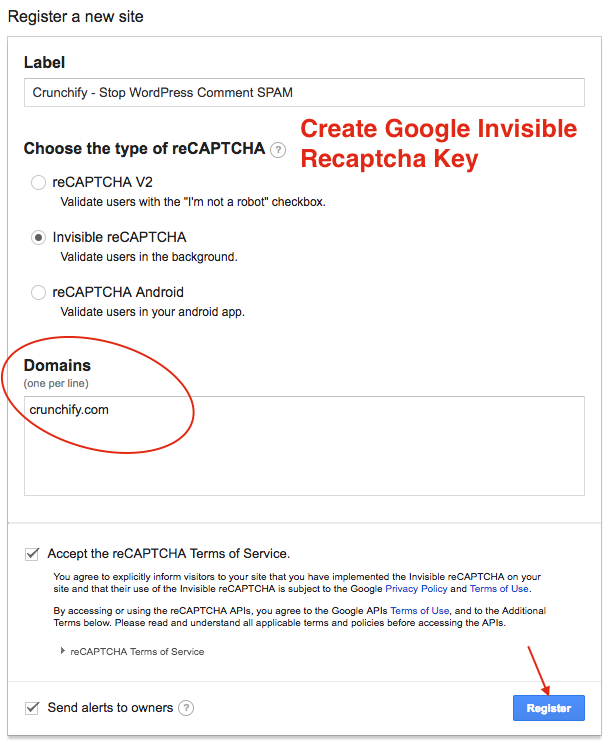 On Crunchify, we are using Google's invisible captcha plugin and it’s working 100% right way. It’s been a week after moving from Disqus to Default WordPress comment form and we didn’t even got single spam. Download link. NOTE: Getting SPAM and putting into spam folder is still a problem. Here with this approach we are not even getting a spam. That’s a big deal as your WordPress DB won’t be able to bombarding with comment insert queries 🙂 We are not using Akismet plugin on site anymore now. How to setup Spam prevention right way in WordPress comment form? Follow below steps and I bet you won’t see any spam comment on your site. Go to https://www.google.com/recaptcha/admin#list to setup your recaptcha account. You will get your Keys in next screen. Download Invisible Recaptcha plugin to your site. Go to each tab and enable on which form you want to enable Google Recaptcha. That’s it. Google’s invisible recaptcha is now enabled on your site. If Google seems some spam activity or bot submitting comments then it will show verification pop up automatically on your site before form will get submitted. So far it’s working pretty good on Crunchify and we will continue using it. Just add below code to your root .htaccess file and you should see very less SPAM comments after that. There is no guarantee though and you will still see some SPAM comments but it’s better than before. Make sure you update line 4 with your domain name. Basically you are making sure that comments are not submitted by any spam bots but rather user on the page. If referrer is your site then you are good. Also, it’s good idea to add all below words into your WordPress Discussion Blacklist. Go to Settings -> Discussion -> Comment Blacklist. Save changes and you are all good. I would suggest keep updating this list and that will help you fight all spams in the future too. Let me know what is your best way to fight spams on WordPress comment form. How to Disable Trackbacks and Pingbacks Completely on WordPress Site?